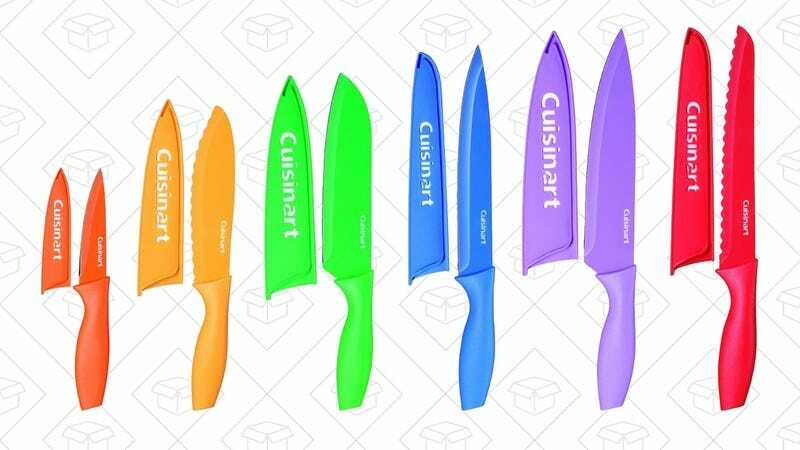 While they might not conform to the classic look of our favorite chef’s knives , this Cuisinart knife set is anything but dull (get it?). You can own the whole collection today for just $12, easily the best price we’ve ever seen. Don’t let the colors fool you, these knives are stainless steel, and extremely sharp. 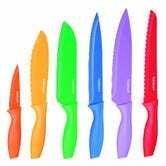 The set has a 4.6 star average from over 4,000 reviews, and while the colors might not seem like your thing, they do help you keep track and avoid cross-contaminating food while you use them.